Cyber Bullying Fail.. 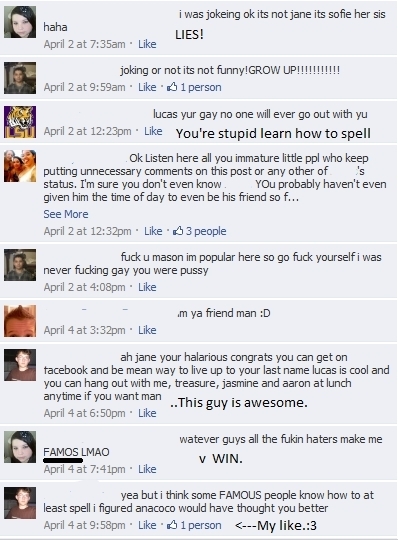 Guy moved to a new school and the other students think they can still bully him..:3. Wallpaper and background images in the fanpop FAIL! club tagged: fail facebook.